It is possible for one to develop physical strength above the average without developing organic strength, and in fact at the expense of organic strength. It is much better, if a well-rounded and complete development muscularly and organically cannot be developed, to develop the inner strength rather than the muscular. The activities of normal childhood should aid in developing organic strength, strength that will last for many years. But the conventional mode of living is such that the benefit derived in childhood is largely dissipated before middle life is reached, for by this time many of the organic and degenerative diseases are well under way. There is a steady increase in these diseases, yet there is no need for such disorders. If we would realize the importance of maintaining a strong heart, normal blood-vessels, healthy kidneys and active liver, normal intestines and colon and vital internal secretion glands, we would do much toward continuing good health into old age. Diseases of the heart lead all other diseases in the cause of death after middle life. 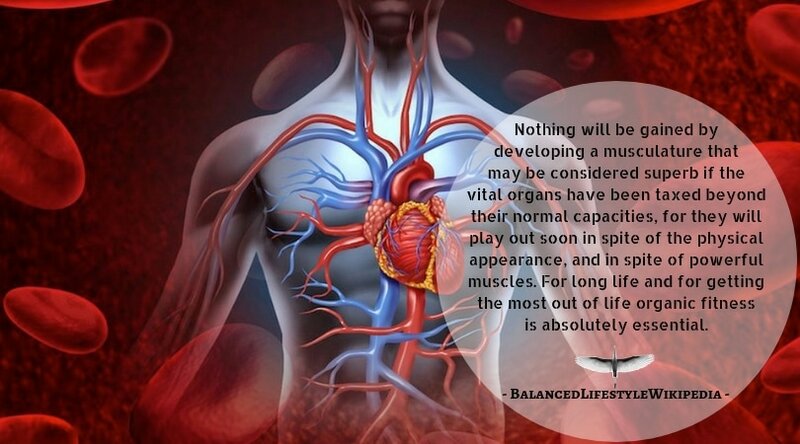 Along with the heart disease is disease of the blood-vessels. The heart is one of the most remarkable organs that we have, in that it can withstand many times its normal amount of work and yet recover from the strain; yet there is a limit to its endurance, and when this limit is reached the curtain of life descends – and there will be no earthly curtain calls afterward. Diet has a great deal to do with the health of the heart and blood-vessels, because the structures must receive ample amounts of constructive and reparative and maintaining elements, and for long life they must be free from toxic irritation from wrong foods, harmful combinations and excess of food. A natural diet is one of the best means of preserving the heart, but even a natural diet should be taken only in the quantities actually required to support the body. Diet already has been stressed in the article ‘Eating To Keep Fit’. If one follows the diet suggestions given in that article, along step toward preserving the heart and blood-vessels will have been made. Exercise is of extreme importance in building a strong heart and in preserving the heart, and the blood-vessels as well. Without adequate use of the muscles of the body the heart cannot develop to its maximum strength or even to sufficient strength to carry one into old age. The subject of exercise is taken up in the article ‘Exercise: Body Basics’; but a point of importance in relation to the heart and blood-vessels is the avoidance of over-exercise. Many enthusiasts go into exercise with a determination to secure within a short time what it should require many months to achieve. In this way the heart and the blood-vessels are over-strained. There may be no telltale signs of this strain until later, perhaps after a period of a few years of comparative inactivity. But there are many others who in their choice of exercise have made the error of selecting types of exercise too strenuous for the natural strength and capacity of the heart and vessels. There are others who in their daily labor drive the heart beyond its strength. In these cases there is a gradually developing strain, which will be followed sooner or later by definite heart lesions or heart weakness. Strenuous exercise or labor combined with overeating or either of these alone, will tend to a gradual weakening and hardening of the blood-vessel walls leading the way to arteriosclerosis and often to apoplexy of the brain, kidney or other vital structure. Even if no such catastrophe occurs a generalized sclerotic condition of the blood-vessels may lead to malnutrition, degenerative effects. Coffee and similar stimulating drinks, alcohol and tobacco, all have their detrimental effect upon the heart and blood-vessels. Syphilis has a very pronounced degenerative effect upon these tissues. The above will serve as suggestions for the one interested in preservation of health of the heart and blood-vessels and maintaining such health. Once the heart is “gone,” there is no substitute. While it has remarkable “come-back” capacities, it cannot recover if degeneration has developed beyond a certain point. The wise procedure is to live in such a way that the circulatory system is developed reasonably toward its maximum, yet without strain or destructive influences. Then the heart will not give out suddenly as it does in the case of many people who are considered “the pictures of health”; nor will it before its time cease to perform its normal duties of forcing and carrying the life-stream to every organ, tissue and cell in the body. Disease of the kidneys is a close second to diseases of the heart and blood-vessels as causes of death, and such diseases are steadily on the increase. The function of the kidneys is not a definite work like the heart performs nor like that of most of the other organs. The kidneys serve us as filters. Their function is to separate and pass out from the body certain toxins and waste products in solution. They will do this far beyond the allotted three score years and ten, which is supposed to constitute the normal span of life, if they are not called upon for excessive work in filtering these toxic waste-products and acids. It is largely through the heavy, rich, excessive and acid-forming foods of today that the kidneys structure is irritated, then inflamed, and finally destroyed. Such a diet throws into the blood-stream excessive amounts of waste products of a highly irritating character. The kidneys will eliminate these, even in excessive amounts, for a considerable length of time; but eventually irritation will result in definite injury to the delicate kidney substance, and kidney disease then develops comparatively rapidly. One unfortunate fact in regard to kidney disease is that they usually are insidious in nature and in most cases are comparatively well developed before they even are suspected. Another reason for kidney disease is failure to use enough natural fluid to keep the waste products and other substances passing through the kidneys in a well diluted form. Many of us drink insufficient water, for health’s sake, also too little milk and little or no fruit juice, although we may take considerable amounts of such fluids as coffee, tea, cocoa, soda fountain beverages, beer and liquors. All of these have a direct irritating effect upon the kidneys. Many persons consume an inadequate amount of watery vegetables also, thus depriving themselves of fluid and the protective mineral elements. In order to preserve the kidneys the natural diet should be followed, with a minimum of protein, especially of flesh foods, lighter foods such as fruits and vegetables should be considered a vital part of the diet and not merely as seasonal filters. A reasonable amount of exercise should be taken, but not excessive amounts, as this throws upon the kidneys the extra work of eliminating the wastes produced by the destructive type of exercise. Ample fluids should be taken to keep the urine well diluted. The liver is the largest gland of the body and has a variety of functions to perform. It is one of the most important of our organs, and is the body’s laboratory for building up certain elements and for tearing down and neutralizing others. A diet rich in starches and sugars and so called rich foods in general, and rich in flesh foods particularly but over-rich in all proteins, will cause in time a breakdown of some parts of the liver laboratories. 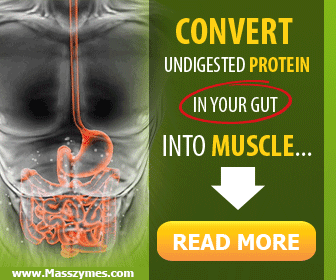 As with the kidneys, so the liver requires a natural diet within actual needs of the body, and plenty of fluid to insure the best work and long life. 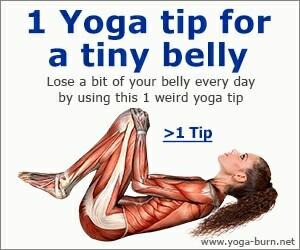 The small intestines and colon usually are not considered as important vital organs in any enumeration of such organs. But certainly the body would be badly handicapped without these structures, and is handicapped when these structures are not functioning up to par. Already has been said in the article on diet to acquaint one with the necessity for a natural diet in maintaining normal muscles, circulation, nerves and glands of the entire intestinal tract. When this tract becomes sluggish or in any other way becomes abnormal, the body usually absorbs unnatural products resulting from an unnatural change in the food residue, and these products unfavourably affect every part of the entire organism. Among the glands of vast importance are the thyroid, the adrenals, the gonads (the testicles in the male and the ovaries in the female) and the pituitary. Unnatural modes of living lay extra stress upon these glands and cause either their over-stimulation with ultimate reaction with deficient functioning as a result, or perhaps their deficient functioning immediately. There is no specific requirement for the preservation or the improvement of any defective gland – except occasionally the feeding of prepared animal glands. Living for the highest degree of health in general will mean living for the health of the glands. We are what we are in great measure because of the action and secretions of these glands. They affect us physically, functionally, mentally, emotionally, and in every other way they largely control our entire personality. They require the same types of foods and the same elimination that every other structure in the body requires. They require normal activity and normal relaxation. The skin, the lungs, and every other part of the body that can receive special attention should receive it for the sake of the glands, as well as for the sake of any and all other parts of the body. In order to keep the vital organs fit, then, it is necessary to live reasonably close to Nature and to avoid those stresses and strains so common in present-day living. Nothing will be gained by developing a musculature that may be considered superb if the vital organs have been taxed beyond their normal capacities, for they will play out soon in spite of the physical appearance, and in spite of powerful muscles. For long life and for getting the most out of life organic fitness is absolutely essential. Organic health can be maintained, and it can be recovered of not too greatly lost. It is far better to preserve it than to hope to recover it after a decline.